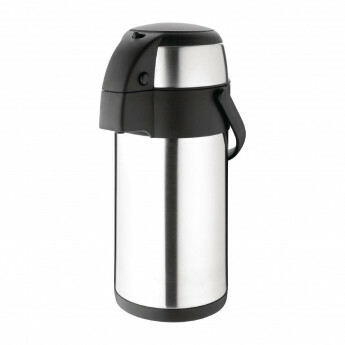 A great value pump action airpot constructed in unbreakable stainless steel. This coffee airpot is virtually indestructible, and will keep liquids at the desired temperature for over an hour. The pump action dispenses liquids easily and at a steady flow, while the large 3 litre capacity is ideal for all but the busiest events.